Okay, but do you have any idea how big the grin on my face was last night when Metatron started pleading humanity’s case with Chuck?! HUGE, I tell you! 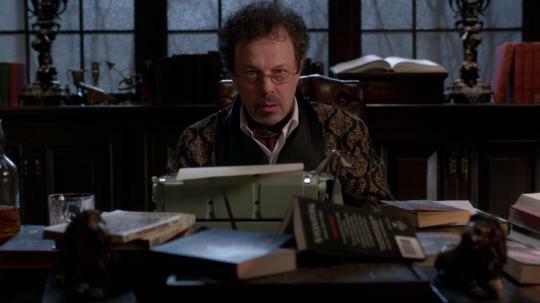 I’ve always liked every single Supernatural character, but nobody else liked Metatron, so anything I ever saw about him was people complaining. When I saw him making his case last night I just knew there would be people changing their mind about him! BTW, if anyone wants to squee with me over ANY SUPERNATURAL CHARACTER, I’m always up for it. Seriously, I like them all. Am I the only person that is actually excited for what’s going to happen to Cas? It’s going to hurt like hell, yes, but there are a few positives: 1. Cas will get more attention on the show 2. Dean will be beside himself with worry and sadness which will hurt so good and 3. IMAGINE THAT REUNION SCENE WHEN CAS IS OKAY AGAIN. IMAGINE IT. I’m also totally thrilled over watching Misha’s acting skills on this one and watching him interact with Ruth Connell! The promo scene looked SO HOT.